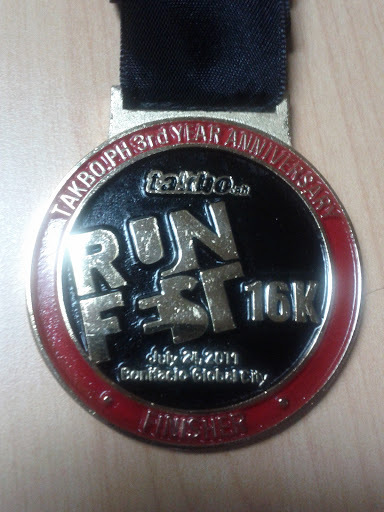 After successfully finishing my 10k run last April, I registered in Takbpo.ph's RunFest 2011 last July 24. Run Fest 2011 is Takbo.ph's third anniversary run. There were three categories: 5k, 10k and 16k. I challenged myself and chose to have my first 16k run. RunFest 2011 was my first running event at Bonfacio Global City. It was also the first time for me to use a race tag. Before the run, I tried my best to run and train. But due to the bad weather in the past weeks, I only had a few runs. I feel nervous. After this run, I am thinking of having one or two more runs before the year ends.